For the second time Aldo teams up with designer Julian Louie for a collection of suede patchwork wedges that kind of resemble Jeffrey Campbell wedges. 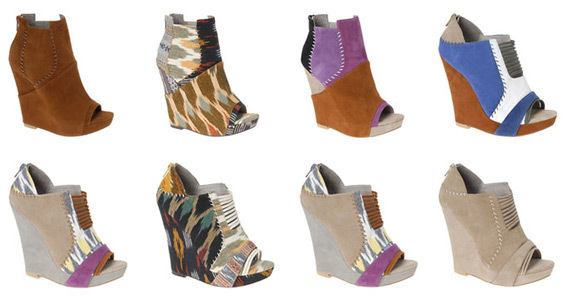 The wedges were featured in Jean Louie’s S/S 2011 collection and were just as stunning as the clothes. 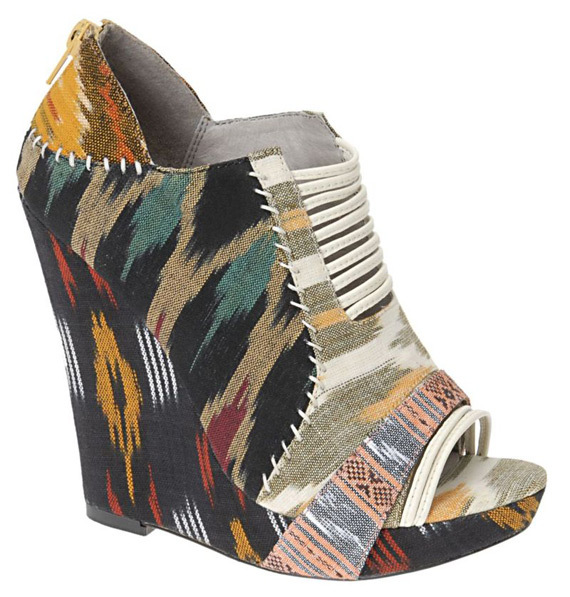 There is no release date yet for these super fly wedges so be sure to keep your eyes peeled to the Aldo’s website. What are your thoughts on the Aldo for Julian Louie collection?